Looking for an Affordable ACD Solution for Cisco UCM? 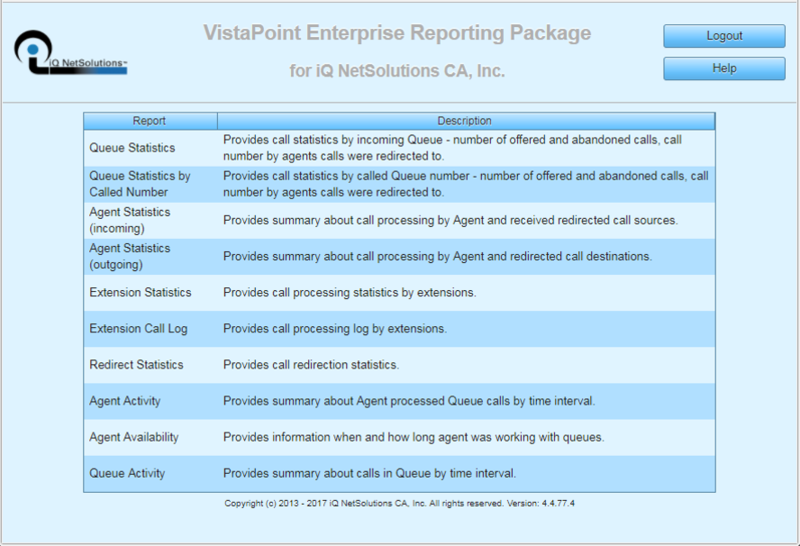 VistaPoint ACD is very unique in that it allows agents to handle more than one call at a time. Most ACD systems limit the number of calls an agent can have at any one time to just one. However, VistaPoint’s ACD will allow agents to take additional calls from any source to include code calls, shared lines, other queues, and prioritize each as needed. That is why it is the perfect fit for operators who need to handle multiple calls from various sources during peak periods. Designed for operator pools and call centers of up to 100 agents. VistaPoint’s ACD Module is an affordable call queuing and routing solution for Cisco UC customers. When considering your options you will find that VistaPoint ACD fills the void between Cisco’s Native Call Queuing and Cisco Contact Center Express (CCX). VistaPoint ACD resides on your VistaPoint Enterprise server and leverages your existing Cisco UCM and Unity Connection platforms to provide greetings, play prompts, and then intelligently distribute calls to available agents. When all agents are busy callers can be placed into queues pending the next available agent. For existing VistaPoint customers…you already own the hardware and software…The VistaPoint ACD Module maximizes that investment. The VistaPoint ACD Module is a software solution that is installed on the VistaPoint “Enterprise” Server. As such, it can take advantage all other “Enterprise” components and modules. 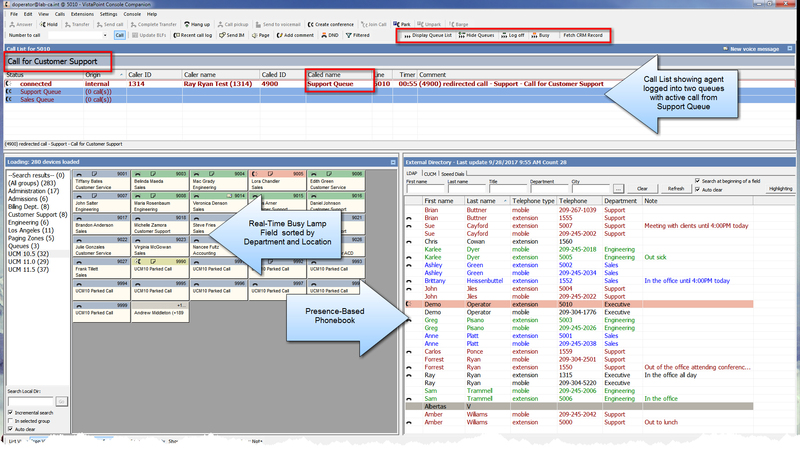 These include High Availability (HA), Call Tracker, Call Assist, SMS Messaging, and much more. Included with the ACD Module is a web-based reporting for supervisors to view queue and agent statistics. Need custom reports? No problem…all call details are stored in an SQL data file so that 3rd-party reporting tools can also be used to extract the data and create custom reports. Included with the ACD Module is a web-based reporting tool for use by supervisors needing to view queue and agent statistics. Need custom reports? No problem…all call details are stored in an SQL data file so that 3rd-party reporting tools can also be used to extract the data and create custom reports. For VistaPoint ACD Supervisors, the ACD Module includes a number of features to assist with managing call center resources. 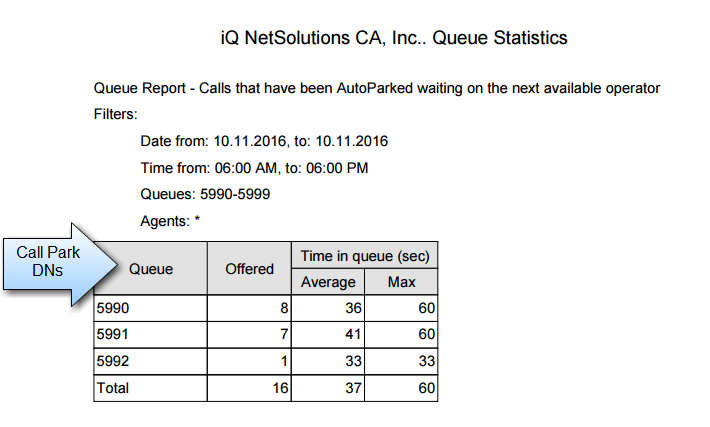 Calls are automatically parked (queued) for the next available agent. As agents become available these calls are instantly redirected to those agents. The Call Park DNs are configured in CallManager and you can define the MoH and reversion timers. When the reversions timer expires you can determine if the caller should continue to hear the MoH (loop) or be redirected to another number (phone, queue, call handler, etc.). Your operators/agents will make use of a VistaPoint Console to answer and process calls. This Console is a feature-rich application that provides a single interface from which to answer calls, view caller’s record, locate requested party, and check their availability when handling calls. WebConsole offers that “Single Pane of Glass” needed by agents to access all of your web-based services from within a single application. Designed to allow users to quickly move from one service to another answering and processing calls, locating information, accessing resources, collecting data, and communicate with others. support multiple disparate panels, Your operators/agents can choose a client-based console or the browser-based console (WebConsole). Both are very similar in appearance with the WebConsole offering a few additional benefits. Are you looking to build a “Context Center” that exposes your operators to prior communications between callers and your organization? If so you should consider our Call Tracker module. 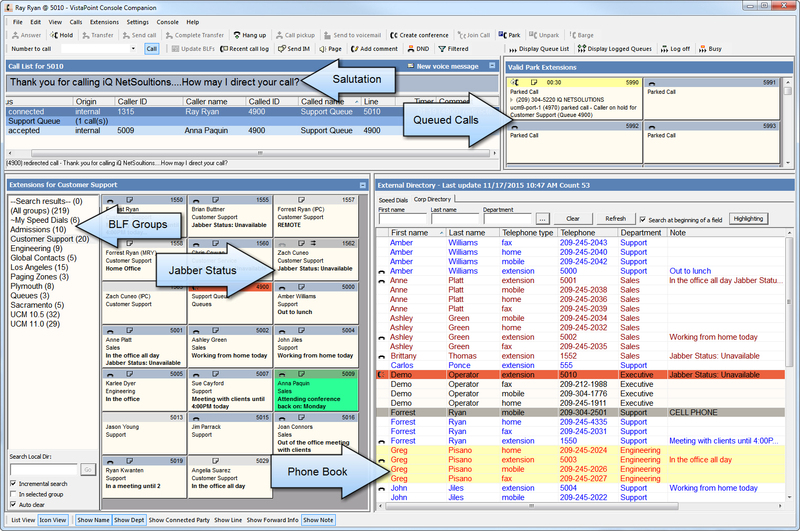 Call Tracker is an add-on module that makes it easy for your operators to identify callers and collect data in real-time for each call being processed. A great tool for operators who need to track and account for each call. Ready to get started with the VistaPoint? Want to learn more about the VistaPoint ACD module, including a full feature list and requirements? Visit the VistaPoint ACD Module Features page.